Wiley Privett married Nancy Crabb. [S916] Ed and Debby's Website, Cemetery: Jerome Cemetery (Howard County, Indiana). [S919] Email from Tim Bagwell dated June/July 2009 to Hunter Wayne Bagwell - Subject Line: Tim Bagwell Family History. [S1730] Email from Janet Winrotte dated March 2011 to Hunter Wayne Bagwell - Subject Line: BAGWELL corrections. Mary Lois (Kirkendoll) Bagwell, age 96, formerly of Charleston, Illinois passed away March 7, 2017 at Burgin Manor Nursing home in Olney, Illinois. Mary was born on August 19, 1920, the daughter of Charles C. and Margueritte (Eaton) Kirkendoll. Mary married Clessie Bagwell in Jackson, Cape Girardeau County, Mo on 2 Nov 1941. Mary retired from public service with the Illinois Department of Veterans' Affairs in 1985 following 22 years as Service Officer Associate in the Olney office. Mary's brother Charles was a disabled Veteran and she took great pride in helping those who served their country. Mary graduated third in her class from Charleston High School in 1938. Her first job out of High School was with the National Youth Administration in Charleston one of the Roosevelt back to work New Deal agencies. While working there she met her future husband Clessie, who was assigned by the Civilian Conservation Corps to Fox Ridge State Park. The NYA and CCC helped build their skills and propelled them forward in pursuit of the American Dream. She was a proud Democrat and always fond of the idea that it was the New Deal that created her family. Moving to Olney from Mattoon, Mary built her home while Clessie worked the new family farm and ABCO Oil Operators a small independent oil company. Mary was a Girl Scout Leader, a member of the Business and Professional Women's club and held several officer positions with that organization. Upon her retirement in 1982 she devoted herself to her hobby of doll clothes creation and design, contributing well over 1,000 dolls over 26 years to the Salvation Army for Christmas time gifts and the Richland Memorial Hospital Auxiliary for sale in the gift shop until her health forced her to retire from her hobby at the age of 91. She is survived by her daughter Janice (Yen-Tien) Ma of Columbia, MD, son Houston Bagwell of Olney, IL, son Tim Bagwell (fiancée Denise Miller) of St. Louis, MO. Grandchildren Loralie (Randy Richter) Ma of Fulton, MD, Christopher (Terri-Ann) Ma of Columbia, MD, Jennifer Bagwell of St. Louis, MO. Also surviving are great grandchildren Nicole Bulte, Camille Bulte, and Scott Richter of Fulton, MD. She is preceded in death by her beloved husband Clessie "Shorty" Bagwell and very beloved son, Troy Bagwell. 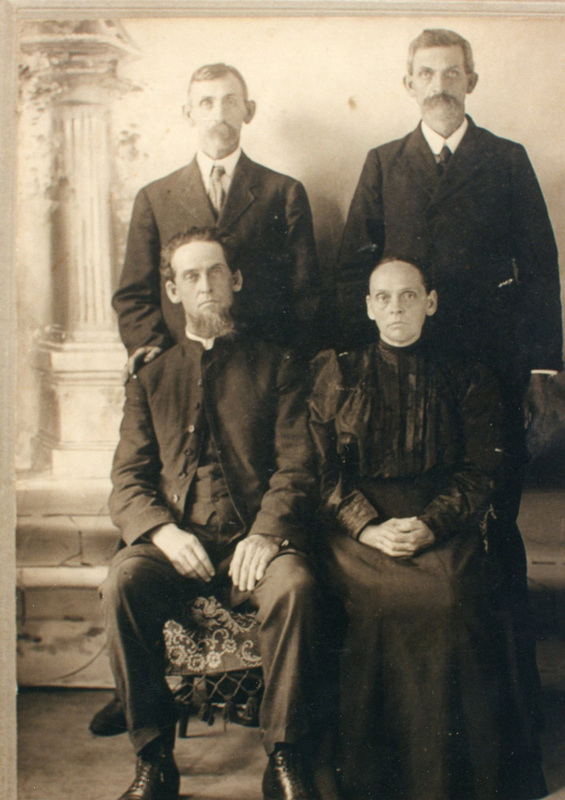 Her father Charles C. Kirkendoll and mother Marguerite (Eaton) as well as stepmother Hazel (Scriver) and stepfather Leland Wenner. Siblings preceding her were brother Charles Kirkendoll, Jr., baby sister Charlotte, sisters Kathryn Maxine (Dale) Stewart, Florence Lavonne (Denny) Carter and step-sister Iola Adams, brothers-in-law Jack Davis, Ercy Hendry, Eldo Bagwell, Leland Bagwell, Ansel Bagwell. Olney Daily Mail, Olney, IL. 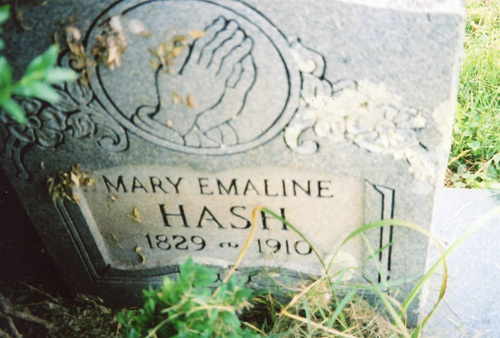 She was buried at Haven Hill Cemetery, Olney, Richland County, Illinois. Janice Leah Bagwell is the daughter of Clessie Melburn Bagwell and Mary Lois Kirkendoll.1 Janice Leah Bagwell married Yen-Tien Ma before 2016. Troy Jay Bagwell was born on 27 February 1961 in Olney, Richland County, Illinois.1,2 He was the son of Clessie Melburn Bagwell and Mary Lois Kirkendoll.1 Troy Jay Bagwell died on 10 January 1978 in Olney, Richland County, Illinois, at age 16 Troy Bagwell, 16, Rt. 6, Olney, died unexpectedly last night, January 10, 1978 at Richland Memorial Hospital. Troy was born February 27, 1961, in Olney, the son of Clessie "Shorty" and Mary Kirkendoll Bagwell. He was a junior at East Richland High School. Child of Charles Thomas Bagwell Sr.
[S925] Email from Paul Bagwell dated June / July 2009 to Hunter Wayne Bagwell - Subject Line: Charles Thomas Bagwell Family History (RE: Found the website). Child of Charles Thomas Bagwell Jr.
[S1070] Email from Paul Bagwell dated December 2, 2009 to Hunter Wayne Bagwell - Subject Line: Charles Paul Bagwell. Willis enlisted in Company F of the Kentucky State Troops (Harlan County Battalion) in the Untied States Army (Union). He served until Janurary 13, 1863.4 He died in 1863 in Harlan County, Kentucky. [S926] United States Federal Census, Washington, District of Columbia, Population Schedule: District 19, Grayson, Virginia, Page: 220, Dwelling: 840, Family Number: 840, Date: 1850. [S1552] Email from Clarice Moore dated 2010 to Hunter Wayne Bagwell - Subject Line: Levi Bagwell History. [S1705] Clarice (Bagwell) Moore, "Genealogy Project - Clarice (Bagwell) Moore." Ada Privett was born in 1806 in North Carolina.1 She was the daughter of Willis Privett and Elizabeth Harrell. Ada Privett married Willis Bagwell, son of Levi Bagwell and Elizabeth Garris, after 1815.2 As of after 1815,her married name was Bagwell. Ada Privett and Willis Bagwell lived in 1850 in District 19, Grayson County, Virginia. Ada Privett died in 1875 in Democrat, Letcher County, Kentucky.1 She was buried at Deane, Letcher County, Kentucky. Caroline M. Bagwell was born in 1836 in Wake County, North Carolina.1 She was the daughter of Willis Bagwell and Ada Privett. As of circa 1856,her married name was Bohanon.2 Caroline M. Bagwell married Hadley Bohanon circa 1856 at Wake County, North Carolina.2 Caroline M. Bagwell died in October 1879 in Letcher County, Kentucky, of "galloping consumption". The term referes to “tuberculosis, or some virulent strain of TB. Consumption was a common word for tuberculosis many years ago (“consuming' the lung tissue). “Galloping' refers to the speed at which the disease progresses.”. She was buried at Maggard Cemetery, Partridge, Letcher County, Kentucky. [S1626] Elizabeth Elnora Bohanon Maggard Grave Stone, Find a Grave, www.findagrave.com. Rausea "Rosa" Bagwell was born on 29 March 1850 in North Carolina.1,2 She was the daughter of Willis Bagwell and Ada Privett.2 As of 2 September 1869,her married name was Craft.1 Rausea "Rosa" Bagwell married Joseph Craft on 2 September 1869.1 Rausea "Rosa" Bagwell died on 3 May 1907 in Letcher, Letcher County, Kentucky, at age 57. Elvira Elizabeth Bagwell was born in November 1833 in North Carolina.1 She was the daughter of Willis Bagwell and Ada Privett. As of 3 May 1866,her married name was Sergent. Elvira Elizabeth Bagwell married Stephen Sergent on 3 May 1866 at Harlan, Harlan County, Kentucky. 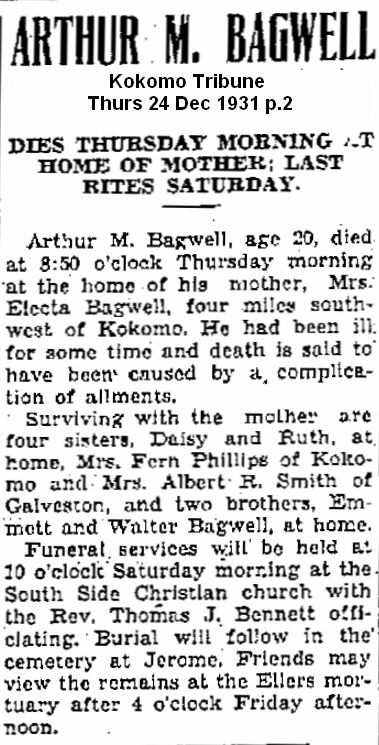 Elvira Elizabeth Bagwell died on 14 April 1910 in Grayson County, Virginia, at age 76. Martha Ann Bagwell was born circa 1838 in North Carolina.1 She was the daughter of Willis Bagwell and Ada Privett. As of 23 February 1859,her married name was Collier. 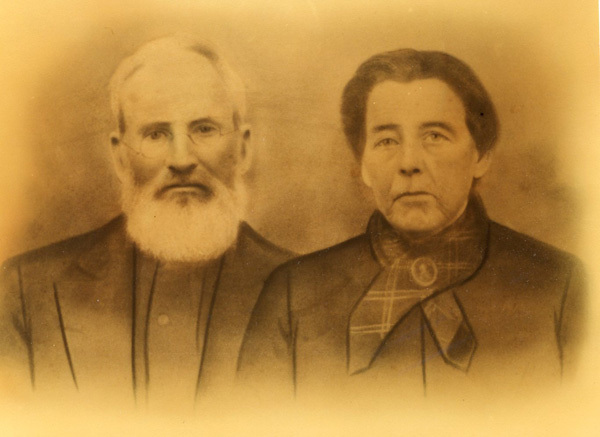 Martha Ann Bagwell married David M. Collier on 23 February 1859 at Harlan, Harlan County, Kentucky. Martha Ann Bagwell died on 26 December 1871. [S927] United States Federal Census, Washington, District of Columbia, Population Schedule: Grayson, Virginia; Page: 4, Dwelling: 30, Family Number: 30, Date: 1860. Mary Calloway Hash was also known as Mary Calloway. She was born circa 1833 in Wake County, North Carolina.2 She married Hiram Burton Bagwell, son of Willis Bagwell and Ada Privett, on 18 December 1852 at Wilkes County, North Carolina.2 As of 18 December 1852,her married name was Bagwell. Mary Calloway Hash died in 1876 in Wilson Creek, Grayson County, Virginia. Malinda Plutina Bagwell was also known as Melinda Plutina Bagwell.2 She was born on 24 September 1853 in Independence, Grayson County, Virginia.1 She was the daughter of Hiram Burton Bagwell and Mary Calloway Hash.1,2 Malinda Plutina Bagwell married Samuel Frank Huddle on 17 February 1878 at Grayson County, Virginia.2 As of 17 February 1878,her married name was Huddle. Malinda Plutina Bagwell was buried at Fairview Cemetery, Norfolk, Nebraska.2 She died on 11 May 1939 in Norfolk, Madison County, Nebraska, at age 85. [S2879] Email from David Alan Bagwell dated March 2015 to Hunter Wayne Bagwell - Subject Line: Samuel Stewart Bagwell and Family. [S1706] Joseph Burton Bagwell, Index to Vital Statistics - Ashe County, North Carolina Roll Number: B_C006_68001, Volume: D-9; Page 47 (Unknown).